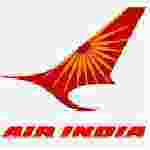 Air India manager recruitment 2016-17 notification apply for 5 posts : Air India Express welcomes application for the position of 05 chief of IT, manager, deputy Manager, deputy manager, senior officer, officer and peon vacancies.Candidates who completed their B.Tech., BE, MCA, graduation, 7th class is a good opportunity.The individuals who are the occupation seekers searching for govt employments in Maharashtra this is the best chance to apply. Competitors read the official notification then read all the guidelines and miners precisely then apply before the last date online application got. All the interested and eligible candidates can apply before with-in 15 days from the date of advertisement. Dead Line date to apply: 15 days from the date of advertisement. Academic qualification details: Candidates should have graduation in any discipline. Selection Procedure: The selection of the candidates will be on the basis of personal interview depending on the number of applications received. Details of Fee particulars: All the interested and eligible candidates are need to pay application fee Rs 500/- through demand draft drawn in the favor of Air India Air Charters limited payable at Mumbai. Applicants would be required to submit the said demand draft at the time of group discussion and PAT (Not applicable for schedule caste categories candidates / schedule tribe categories candidates / Ex-servicemen categories candidates). Process of applying for the job: All the interested and eligible candidates can apply in prescribed application form along with self – attested copies of supportive documents in respect of educational qualification / age certificate and experience / 2 recent (Not more than 6 month old) passport size color photograph send by post to the chief of HR, Air India charters limited Airlines, House, Durbar hall road, near Gandhi square, Kochi 682016 on or before 15 days from the date of advertisement.